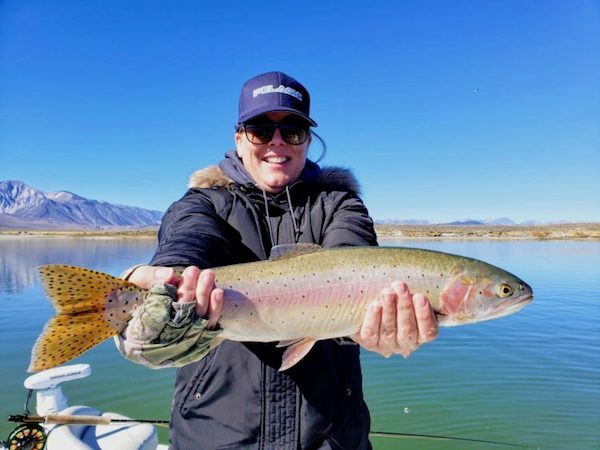 And Connie with another good cutty! As we get into the final days of fishing the lake by boat, we’ve been greeted by high pressure days with some midge activity later in the mornings as the cold temperatures subside. 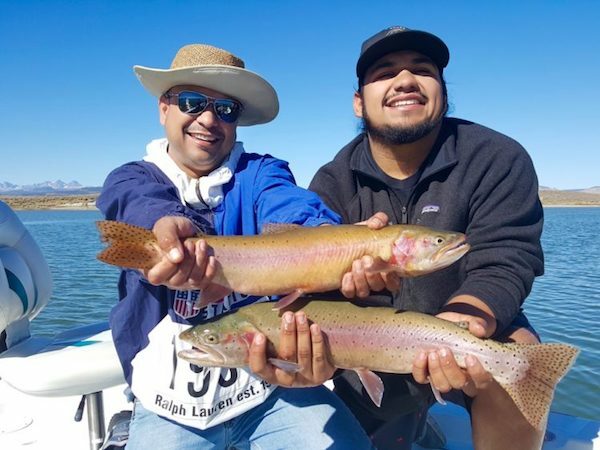 We will continue to fish here by float tube until November 15th even after the main gate closes on October 31st. The north arm has drawn most of the attention from anglers and some nice fish have been searching the mud for food. We should see more fish pile into this area as the fall moves on. The bigger fish seem to be keying in on larger offerings like perch fry and assassins. #14-16 Parallel Assassin Dark and Assassin Dark, #14- 16 Level Crystal Leech and Crystal Leech, #18 Crystal Zebra and Crystal Tiger Midge Long, and #10 Loebergs have been hot flies. 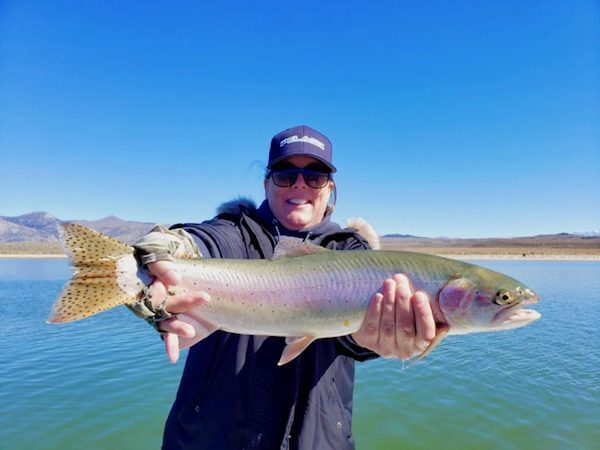 Connie Gorecki scored big time with this cutty! 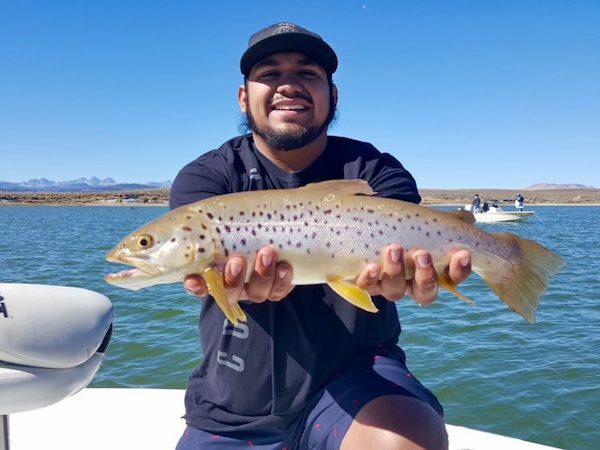 Joe Miranda fished with Two Bug and got this hot brown! 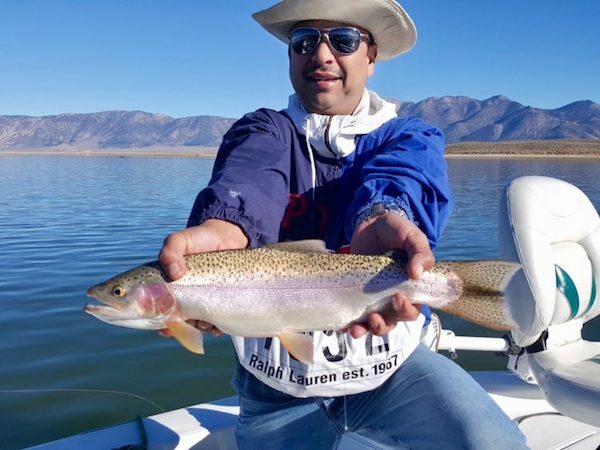 Jose Miranda with a nice Kamloops rainbow! 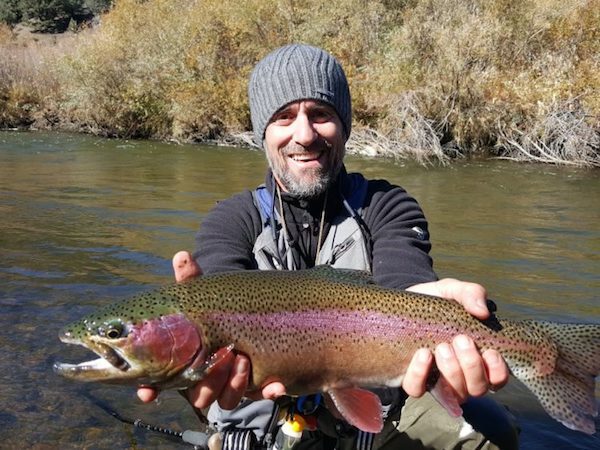 Bob Meyers fished with Two Bug for this nice ‘bow! 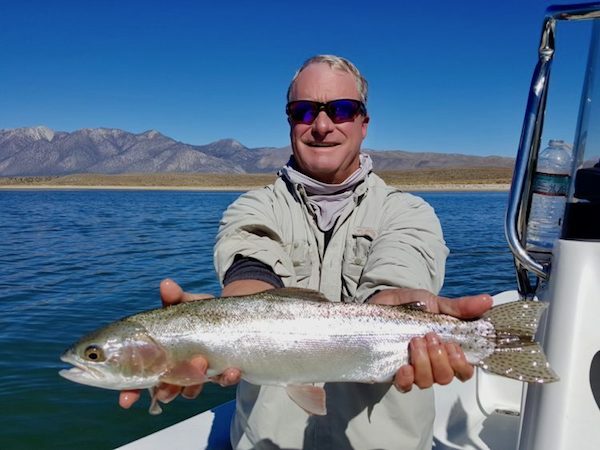 Crowley Lake: Very Consistent Fishing Here.